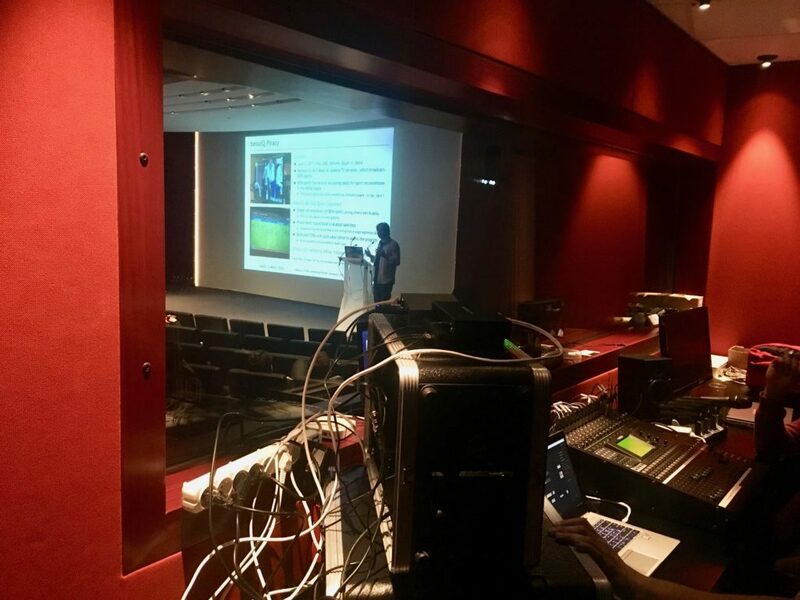 For the last two years, Streamroot has organized the quarterly Paris Video Tech meetup. This initiative is the opportunity for developers to come together and share their expertise on the different aspects of the online video workflow. Our November edition featured some particularly interesting talks that we wanted to share with you. Lionel Bringuier (Director of Product Management) and Ken Shek (M&E Specialist Solutions Architect) from Amazon Web Services Elemental kicked off the meetup by introducing SPEKE, an open API that aims to simplify the implementation of DRM workflows. With the proliferation of different devices and operating systems, the DRM market has become fragmented, and implementing a DRM solution is increasingly complex. The fruit of two years of work, SPEKE seeks to provide a reference key server enabling interoperability between encryptors and DRM service providers. Find out more in the presentation below and in the API documentation & Github repo. Gwenaël Doërr, CTO of Content Armor, then gave us a crash course in digital watermarking. Gwenaël started by explaining the end-to-end anti-piracy workflow using the example of a soccer match. He then talked about the various ways content is pirated before diving into the different kinds of watermarking technology – baseband vs. bitstream – and different deployments. He detailed the pros and cons of client-side watermarking on the device, A/B watermarking on the network via the ABR stream and edge watermarking. A great introduction to a technology that allows content owners to identify pirates. Lastly, Sébastien Faure, Quentin Renard and Jean-Noël Duquesne from MolotovTV talked about a POC they did with the Franco-German documentary network, ARTE. The two services decided to offer ARTE’s 24-hour channel in 4K HDR for 10 days on a maximum of 4K-compatible devices. 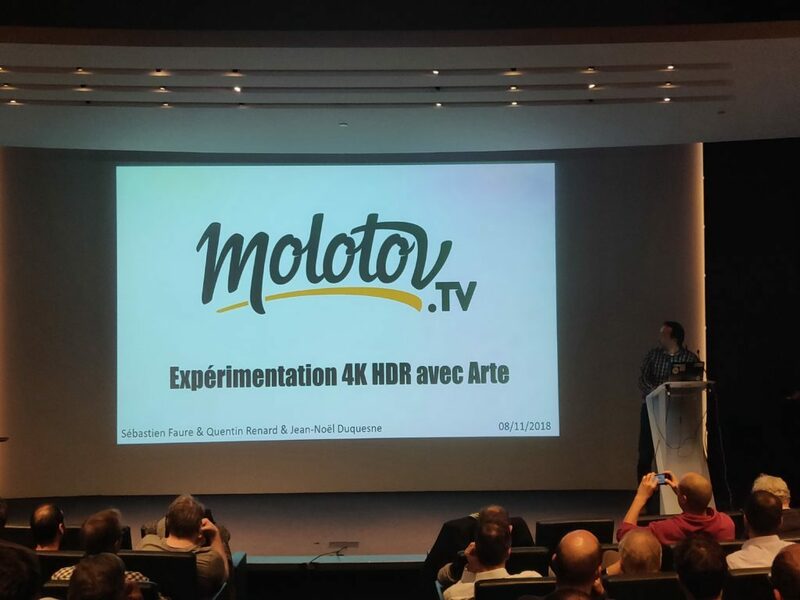 The talk discusses how MolotovTV built and implement a dedicated live encoding workflow, detailing the technical choices made and why. They then shared the impressive results of the POC, along with some bloopers and surprises they faced dealing with different 4K televisions. 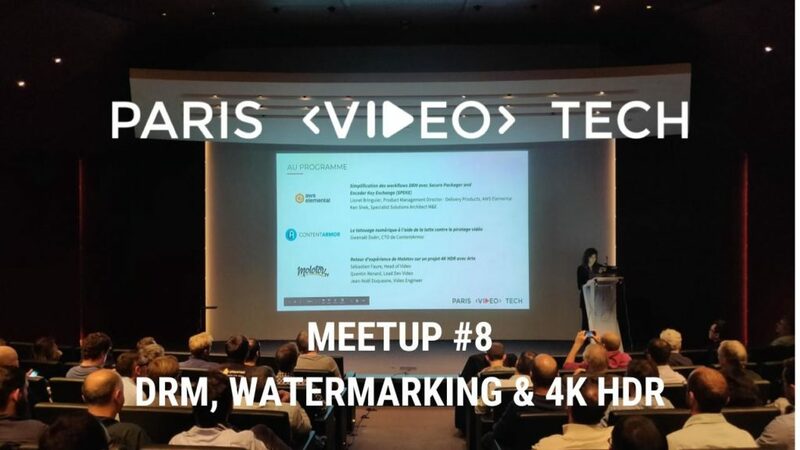 Thanks to those who made it to our latest edition of Paris Video Tech! 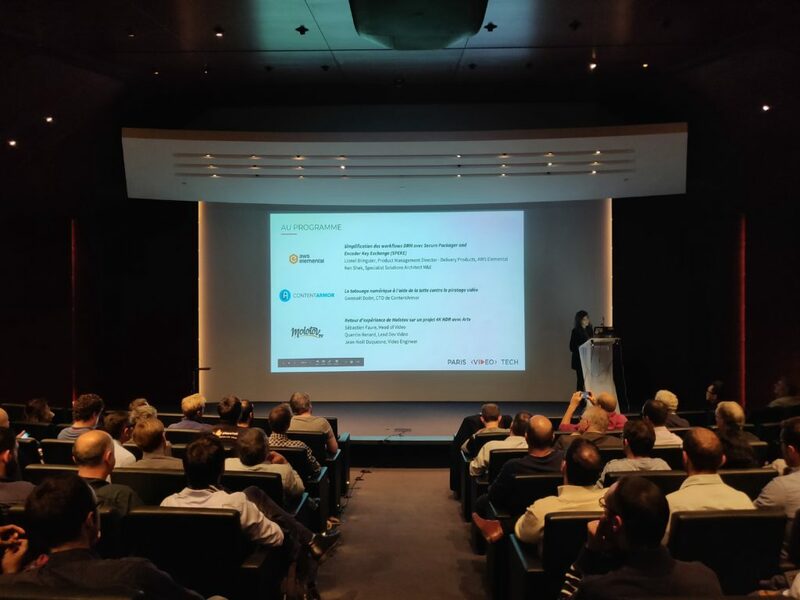 For the French speakers among you, check out the video recording of our meetup below. If you have ideas for a talk at our next event (early 2019), drop us a line!